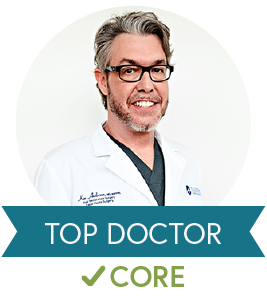 A hair restoration procedure is an outpatient medical procedure performed at our state-of-the-art center. 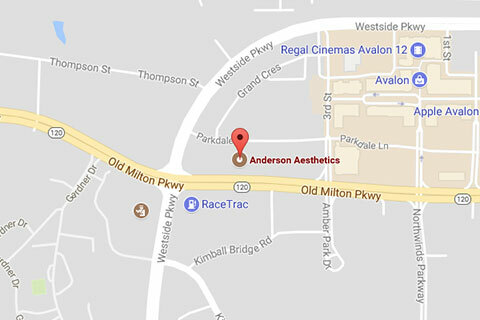 Dr. Anderson performs only one procedure per day, ensuring minimal patient discomfort both during and following the procedure. The hair on the back and sides of the scalp, which typically are not affected by hormones that can cause hair loss, is transferred to other parts of the scalp. These permanent hairs, taken from the “permanent zone”, which is often called the “donor area” can be moved to other parts of your scalp where the hair loss has occurred, often called the “recipient area.” These new hairs will continue to grow in their new location as if they were still located in the permanent zone of your scalp. 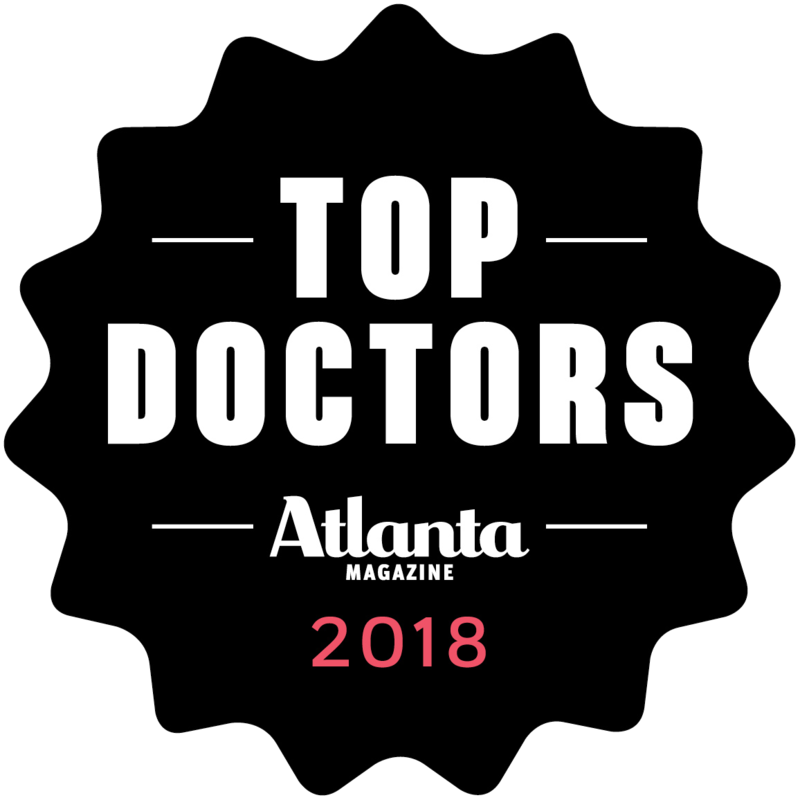 Patients will often ask why the transplanted hair will not go away and bald like the hair previously located in these areas of hair loss, and the analogy we use often is that “it’s the trees, not the soil.” That is, the permanent hairs can be moved around and will continue to be permanent in their new location. The process is called Follicular Unit Transplantation. Hair exits the scalp in groups called “follicles”. Each follicle produces one, two, three and sometimes four hairs per follicle. A “follicular unit” contains the hair follicle itself, the sebaceous gland, and the arrector pili muscle. During the dissection, the anatomy of the follicular unit is respected as each follicle is dissected from the surrounding tissue. These follicular units are sorted and briefly stored in a special nutrient tissue bath at a cool temperature prior to implantation in their new location. 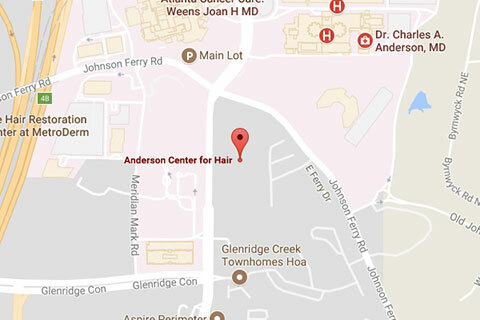 Dr. Anderson can control the location, direction, and orientation of the transplanted follicles. These follicles will continue to grow in their new location in the same way they were growing in the permanent zone; in essence, the follicles do not “know” that they have been moved, and your new hair will grow permanently in the area to which it was transplanted. 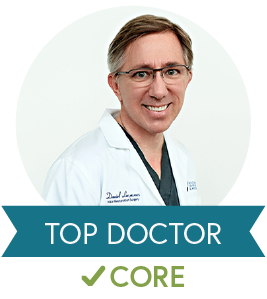 There are two methods Dr. Anderson uses to remove the follicles from the permanent zone. One is called the “Linear Method,” and the other is called “Follicular Unit Extraction“. Alopecia– General term for hair loss, of which there are many types and causes. Alopecia Totalis– an autoimmune condition in which complete baldness occurs over the entire body. Anagen Effluvium– Significant loss of hair during the anagen (growth) phase. Androgen– General term for any male hormones. Testosterone is the primary androgen. Androgenetic Alopecia– The genetic predisposition to lose hair. In men, this I’d referred to as male pattern baldness; in women, it’s called female pattern baldness. Anti-androgens– Agents that block the function of male hormones; some anti-androgens are effective in treating hair loss. Base– The main structural component of a hair addition, giving it the sensor and contour. The ‘hair’ of an addition is attached to the base. Bulb– The bulb-shaped lower portion of the hair follicle, containing cells that determine the width of the fully grown hair. Catagen Phase– The transitional phase of the hair cycle that follows the anagen (growth) phase. During this phase, which lasts from 1-6 weeks, the follicle ceases to produce hair. Chemotaxis– The characteristic movement or orientation of an organism or cell along a chemical concentration gradient either toward or away from the chemical stimulus. 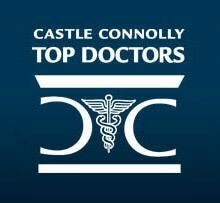 Circumferential Scar– Located along the top border of the fringe area; this type of scar is the result of an extensive scalp lift. Cobblestoning– The lumpy appearance of the scalp, resulting from standard grafts or minigrafts that don’t heal evenly with the scalps surface. Crown– The top or highest part of the head. Also called the vertex. Cyberhair– A revolutionary synthetic nylon fiber that looks and feels like real hair. Density– Term referring to the visual thickness of hair or the number of hairs in a given area of scalp. Dermal Papilla– A specialized group of cells located at the base of a follicle that are believed to regulate hair growth. Diffuse Pattern Alopecia– A condition in which the hair thins noticeably, but not to complete baldness. The thinning occurs in the same characteristic pattern as male pattern baldness. Diffuse Unpatterned Alopecia– A condition that is characterized by general thinning of the hair over the entire head (including the fringe area). The hair loss usually occurs equally throughout the scalp, but in rare instances, it happens in random patches. This condition is much more common in women than in men. Dihydrotestosterone (DHT)– The male hormone responsible for male pattern baldness, acne, and prostate enlargement. DHT also stimulates hair growth on the face and body. Donor Dominance– The principle that transplanted hair will maintain the characteristics of the area from which it comes (the hair-bearing donor area), rather than the area into which it is transplanted (bald recipient area). This principle accounts for the fact that transplanted hair will continue to grow after it’s placed in the bald area. Donor Site– The hair-bearing area of the scalp. Located on the sides and/or back of the head, this area is the source of grafts for transplantation procedures. Double-Blind Study– A scientific study in which neither the subjects nor the researchers know which subjects are taking the drugs and which are taking the placebo. This type of study is conducted to ensure objective results. Dormant Phase– The phase in which the hair follicle’s growth, development, and cellular activity are temporarily stopped. Dutasteride– a DHT blocker (developed by GlaxoSmithKline) that is used in the treatment of benign prostatic hyperplasia (BPH) or enlarged prostate. Because dutasteride inhibits the formation of both types of DHT, its use may result in more hair growth (or less hair loss) than that seen with finasteride. Finasteride– The active ingredient in the oral drug Propecia (manufactured by Merck) for the treatment of hair loss. By inhibiting the Type II 5 alpha-reductase (5@R) enzyme, finasteride blocks the formation of Type II DHT, allowing intermediate hair follicles to enlarge and grow terminal hairs in some individuals. 5 Alpha-Reductase– The enzyme responsible for converting testosterone to dihydrotestosterone. Follicle– A small pouch-like structure below the surface of the skin in which hair is produced. Follicular Unit– A naturally occurring group of hair follicles. Typically, each unit consists of 1-4 hairs. Follicular Unit Extraction (FUE)– Also known as follicular transfer (FT), is one of two primary methods of obtaining follicular units. In FUE harvesting, individual follicular units are extracted directly from the hair restoration patient’s donor area one at a time. 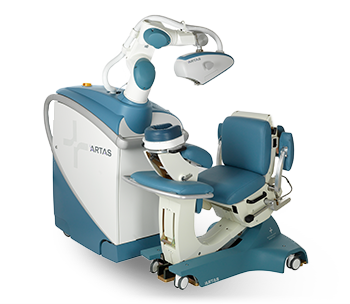 At the Anderson Center for Hair, Dr. Anderson uses the ARTAS®Robotic System for all FUE procedures. Follicular Unit Transplant (FUT)– A hair-transplant method in which intact follicular units are grafted into balding areas. Forelock– the hair located on the front third of the scalp- on or above the forehead. Fringe– The hair remaining on the sides and back of the head after extensive hair loss. Graft Compression– A complication the can resale when larger grafts containing many follicular units are placed into a site, and the connective tissue compresses the grafts, causing the follicles to lie closer to one another. The resulting appearance resembles a “bundle” or “rope” of hair emerging from a single graft. Grafts– Hairs that are removed from the donor area of the scalp and transplanted into a balding area. Graft types include standard grafts, minigrafts, micro grafts, and follicular units. Hair Shaft– The part of a hair that projects from the surface of the skin or scalp; it’s the part of the hair you can see. Hair Transplantation– The method of moving hair from then permanent donor area of the scalp to a balding area. Halo Formation– A possible consequence that occurs after hair is transplanted into the bald area, but hair loss continues in the surrounding area. The eventual result is a “halo” of bald skin that forms around the grafted area. Inosculation– used in the context of plastic surgery, as one of the three mechanisms by which skin grafts take at the host site. Blood vessels from the recipient site are believed to connect with those of the graft in order to restore vascularity. Intermediate Hairs– Hairs are somewhat thinner, softer, shorter, and lighter in color than terminal hairs, but not quite vellus-like. Keloids– Large raised scare formations. Linear Harvesting– A strip of skin is removed from the patient and then dissected into many individual follicular units. Linear harvesting will leave a “pencil thin” linear scar in the donor area, which is typically covered by a patient’s hair even at relatively short lengths. The recovery period is around 2 weeks and will require the stitches to be removed by medical personnel. Loniten– A blood pressure medication (developed by Upjohn) whose active ingredient is minoxidil. Loose Scalp– A scalp characterized by skin that moves easily. Ludwig Scale– Commonly used scale for the classification of female pattern baldness. Micrograft– A very small graft that is no larger than 1 millimeter and contains 1 or 2 hairs. Minigraft– A small graft, usually square in shape, that ranges from 1-2 millimeters and contains 3-12 hairs. Miniaturization– Hairs are very thin and not covering much of the scalp. Minoxidil– The first FDA-approved drug for the treatment of hair loss. Initially manufactured by Upjohn as Rogaine, minoxidil is a topical medication that slows hair loss and/or stimulates hair growth in some individuals. Monk’s Spot– term for the bald spot on the crown of the head. Norwood Scale– Commonly used scale for the hair loss classification of male pattern baldness. Plugginess– The resulting appearance if a hair transplant in which the grafts aggregate in small areas (often in unnatural-looking rows), instead of being placed in a more diffuse natural growth pattern. Poaching– The process of obtaining viable follicular units from a seemingly used-up donor area. Propecia– The brand name of an FDA approved oral medication (manufactured by Merck), containing 1 mg of finasteride, for the treatment of hair loss. Proscar– The brand name of this medication (manufactured by Merck), containing 5 mg of finasteride, for the treatment of benign prostatic hyperplasia (BPH) or enlarged prostate. Pruning– The process of removing hair follicles from a previous transplanted graft to improve the appearance of plugginess or compression. Recipient Area– The general area of the scalp in which the grafts are placed. Recipient Site– The scalp location in which a single graft is placed. Recombinant Follicular Unit Transplantation– Transplantation technique in which multiple follicular units (such as a 1-hair and 3-hair unit, or three 1-hair units) are placed into a single recipient suite. This method achieves greater density in a single session than standard FUT surgery. Retin-A– The brand name for the generic drug tretinoin, a prescription medication used for treating acne. It is sometimes combined with minoxidil to enhance absorption into the scalp. 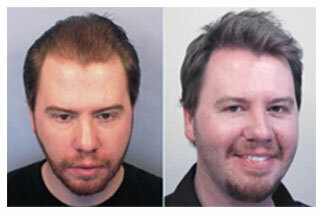 Rogaine– Brand name for minoxidil, the first FDA approved drug for the treatment of hair loss. Available without prescription, Rogaine comes in 2% and 5% strengths. Scalp Revision– A surgical procedure for decreasing the size of a scar to enhance to appearance. Senile Alopecia– A condition of thinning hair that occurs with age. Shock Loss– Loss of the existing hair that surrounds a new graft that may be caused by a temporary lack of blood to the area of from inflammation during the healing process. Regrowth should occur 2-3 months following the transplant. Skin Flap Surgery– A surgical procedure in which a relatively large piece of hair-bearing skin from the side of the head is moved to a bald area. One side of the flap remains attached to the scalp to maintain original blood supply. Slot Correction– A surgical procedure for decreasing be visibility of slot deformation. Slot Deformation– Abnormal hair direction and visible scar along the length of the head; this ‘deformation’ is caused by alopecia reduction surgery in which the opposing fringes are brought together at the top of the head. Standard Grafts– Relatively large grafts (approx. 4 mm in diameter) that are round in shape and contain around 16-29 hairs. Standard grafts were used in the first transplants, but due to improved transplantation techniques, are rarely used today. Telegenic Effluvium– Significant loss of hair during the telogen phase. Telogen Phase– The 5-6 week resting phase in the life cycle of a hair, during which the follicle shrinks and the hair is “pushed out” by a new hair in the anagen phase. Hair in the telogen phase can also be shed or lost during brushing or washing. Temporal Hair– The hair that is located in the area above the temples. Temporal Recession– Hair loss in the area above the temples; this is often the first sign of male pattern baldness. Terminal Hairs– Fully developed hairs with color and texture that continue to grow after they are cut. Traction Alopecia- Hair loss caused by prolonged physical tension on the hair. This can occur from wearing very tight braids, ponytails, corn rows, and certain hair additions that are attached to the existing hair. Trichotillomania– A psychological condition in which a person (typically female) is compelled to pluck or pull hair from the scalp, eyebrows or eyelashes. Vellus Hairs– Hair that is shorter, softer, and finer in texture, and lighter in color, than terminal hairs. They are often found at the very front of the hairline or in the area between a bald area and a hair- bearing area. Also called hair integration. Vertex– The top or highest part of the head (crown). Weighting– The distribution of more hairs in one section than another.